Comb-clawed beetle (Cteniopus sulphureus) on a plant stem. 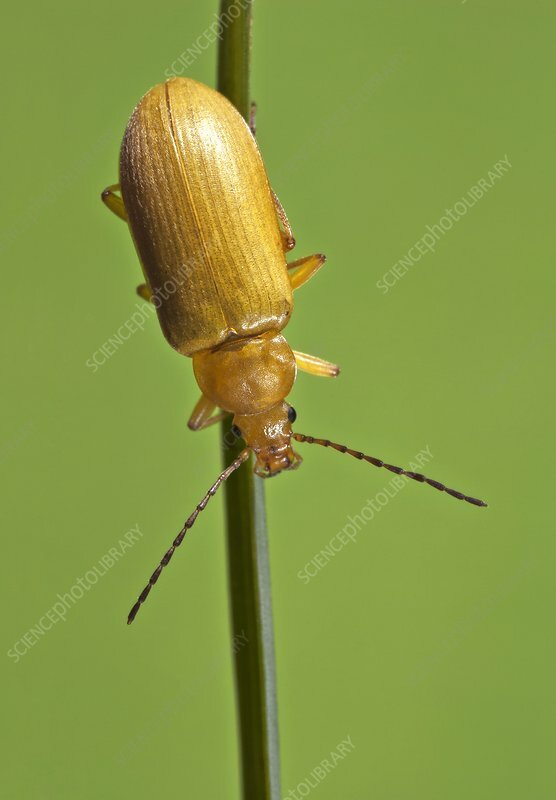 This species of comb-clawed beetle (family Tenebrionidae) is mainly found in Denmark, Finland, Italy and Sweden, but is also present in other areas of Europe. Photographed in Poland.